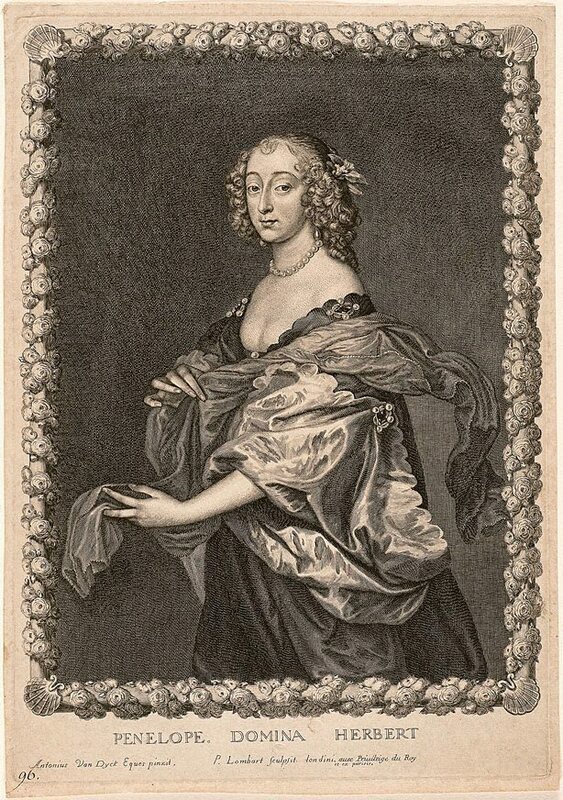 Lombart was a French engraver who worked in London throughout the years of the Interregnum (the period between the execution of Charles I and the restoration of Charles II). This print is part of a series of portraits after van Dyck, known as the 'Countesses'. All twelve plates are the same size and show three-quarter-length figures in engraved borders that imitate frames of the period. The series was highly influential and set the pattern for later sets of female beauties.